In the 2018 F1 season closer Lewis Hamilton was so kind as to provide a summary. His latest win of 11 in his fifth world championship year contained a few of the themes that ran through the campaign as a whole. Not least Hamilton himself remaining, one way or another, in the box seat. 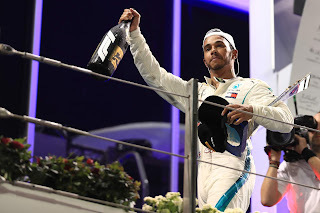 My take on the Abu Dhabi Grand Prix finale is added to the Motor Verso F1 season summary. As ever it's illustrated with great Pirelli photography and my selection of the best of YouTube content.